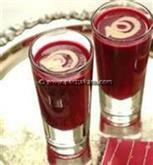 Home made grape wine is made naturally with simple ingredients available at home. The adequate yeast added to the partially crushed grapes aids proper fermentation. Inspect the grapes and make sure they are ripe enough. Discard rotten ones so that the quality of wine is not affected. 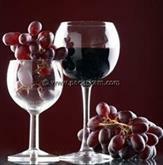 A sanitary environment is recommended for making home made grape wine. The grapes should be washed clean with stems removed and make sure it is relatively free from debris. Our home made grape wine is well illustrated in simple procedures. Though wine making sounds simple, lot of patience is required waiting for weeks at a stretch.